An appetizer that consists of grilled bread with garlic, olive oil, and seasonings topped with tomatoes. 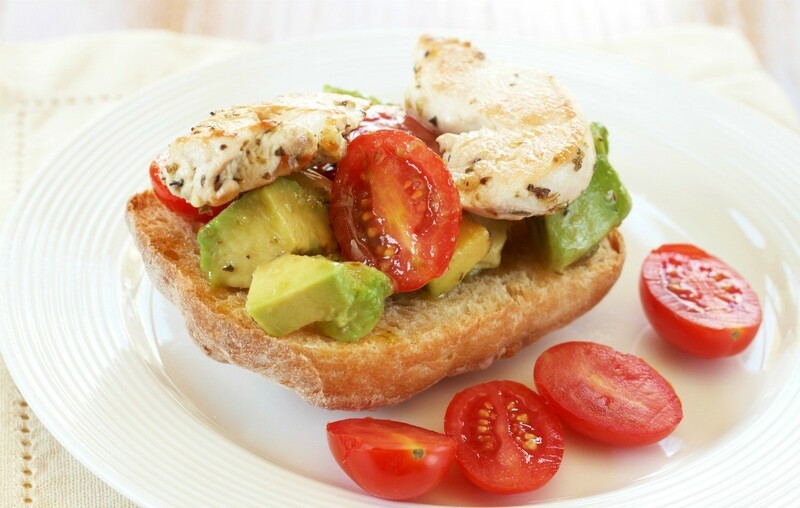 This page contains bruschetta chicken recipes. 1 1/2 pounds boneless skinless chicken breasts, cut into bite size pieces. Preheat oven to 400 degrees F. Place tomatoes in medium bowl, add stuffing mix and water and garlic. Stir just until stuffing is moist. Set aside place chicken in 9x13 inch pan. Sprinkle with basil and cheese. Top with stuffing mixture bake 30 minutes or until chicken is cooked through. I got this same recipe out of a Kraft magazine. I fixed it for supper last night and it was sensational! My 16 year old daughter even ate it. WOW! I just made this last night and it was really good and quick. I don't like garlic, so left it out, but it was still very tasty.